A few weeks ago I received a lovely invitation in my mail to come and see the new collection of the new company of Rhubarb London. 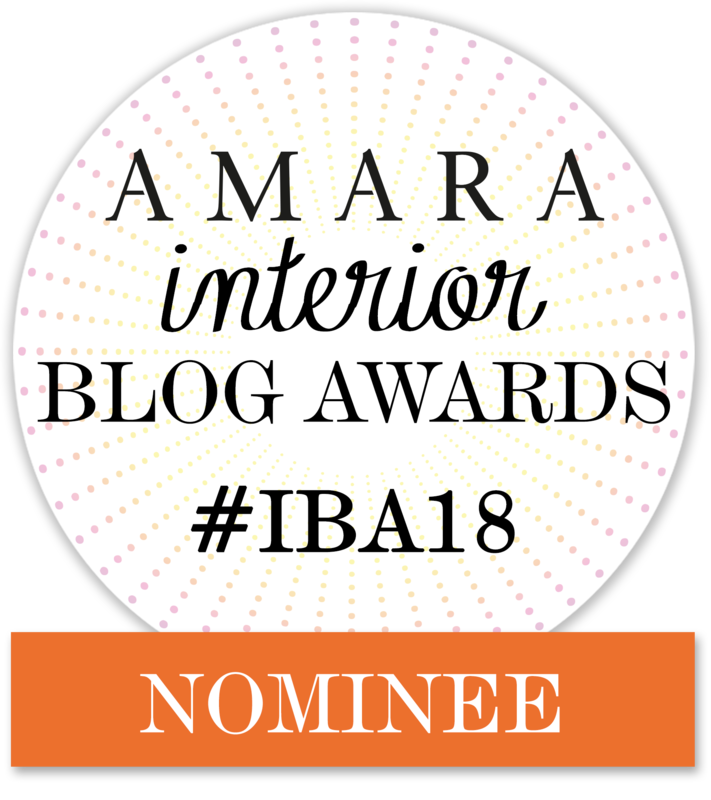 As I was planning my trip to London for the Amara awards, I thought it was a great idea to visit the showroom and see how lovely these pieces really are in person. There was also a chance to meet the designer, Shaun, behind these awesome statement chairs and I was so glad that he was there when I visited them yesterday. Yesterday was the last day the showroom was open to visit, so I'm pretty happy that I took my time and went. 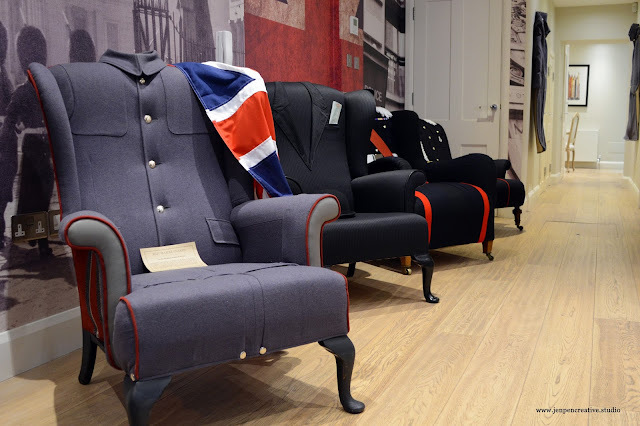 I really love the idea behind these chairs: vintage chairs upholstered with vintage costumes or uniforms. These chairs are carefully handmade. Every chairs has gotten the love of 9 people working on them. 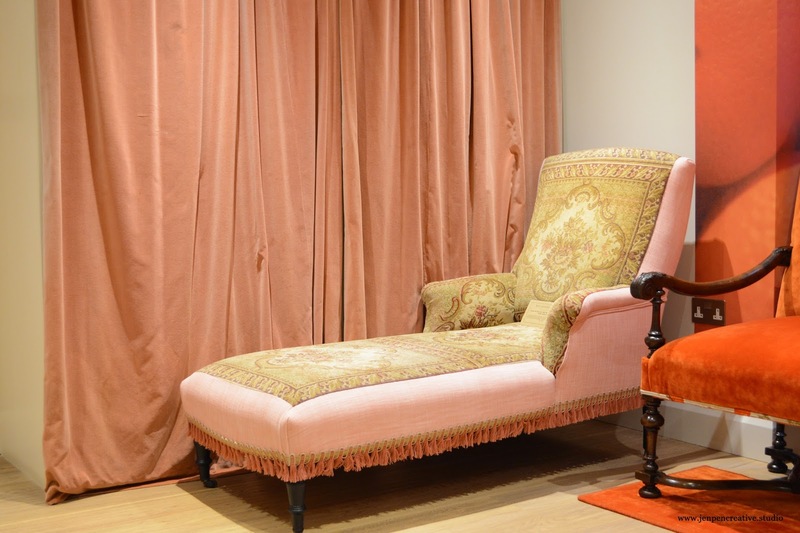 People with the expertise in upholstery, craftsmanship and even tailorship. 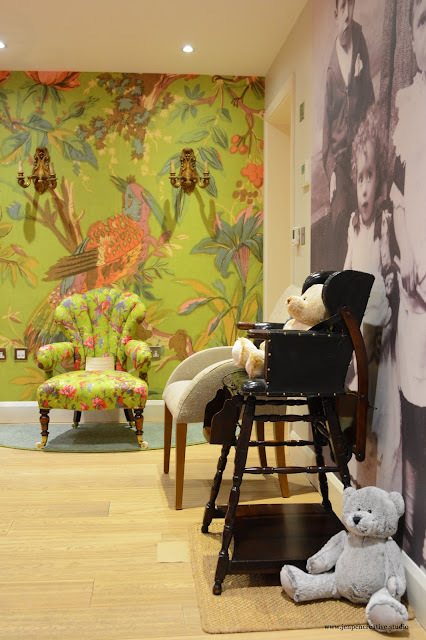 Every fabric is carefully selected and everything has a lovely history behind it. They search all over Europe and even outside of Europe to get unique pieces of customs or uniforms. 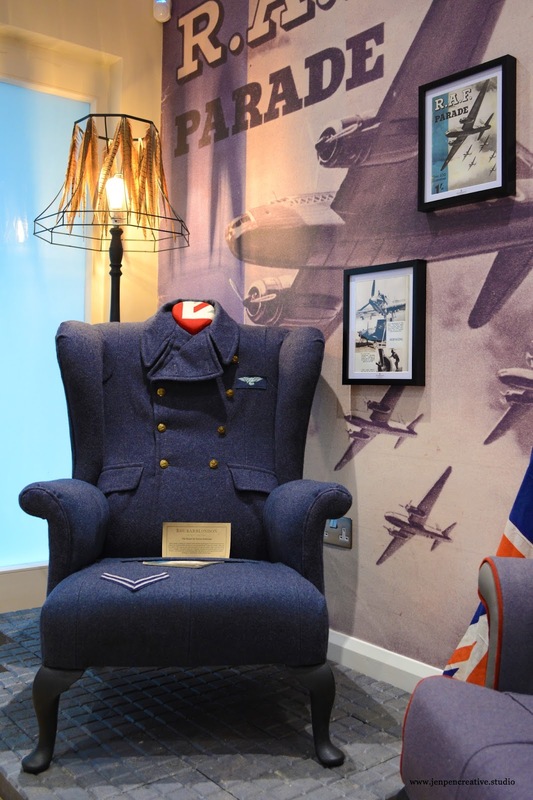 You can even donate uniforms or you can let them make one lovely statement chair like this with the uniform or costume you have hidden away. This one above was really one of my favorite. Because of the choice of the color of fabric of the costume, I felt it waas a bit more feminine and the details are just amazing. I was left without no words. The arms has leather covering and I really love the feathers on the side. This is truly something to show off and even more to sit and enjoy your book and cup of tea. 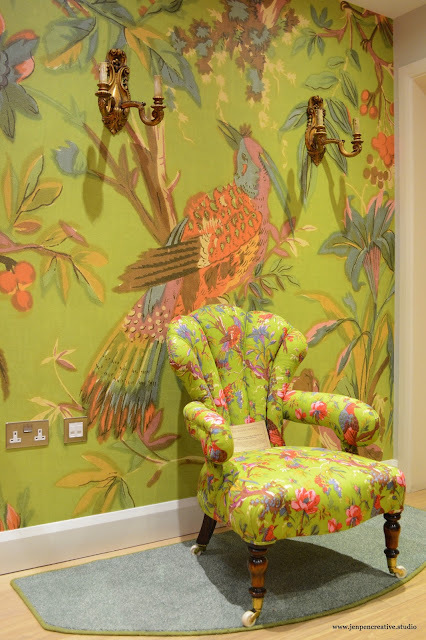 The wallpaper on the wall was taking from a little book that is laying on this chair. They blew it up and made it into vinyl wallpaper. 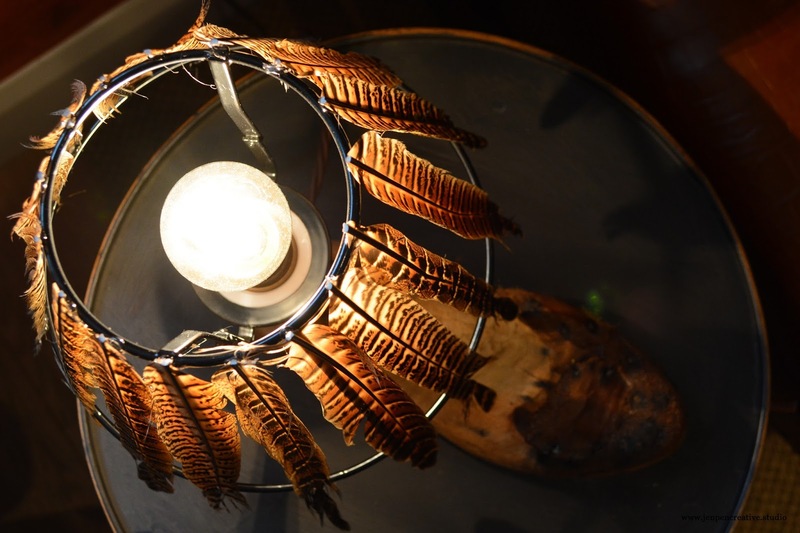 How about the feathers on the lamp? It's so beautiful. I really love the lines on this chair. The perfection of the costume in perfect line with the lines of the chair. 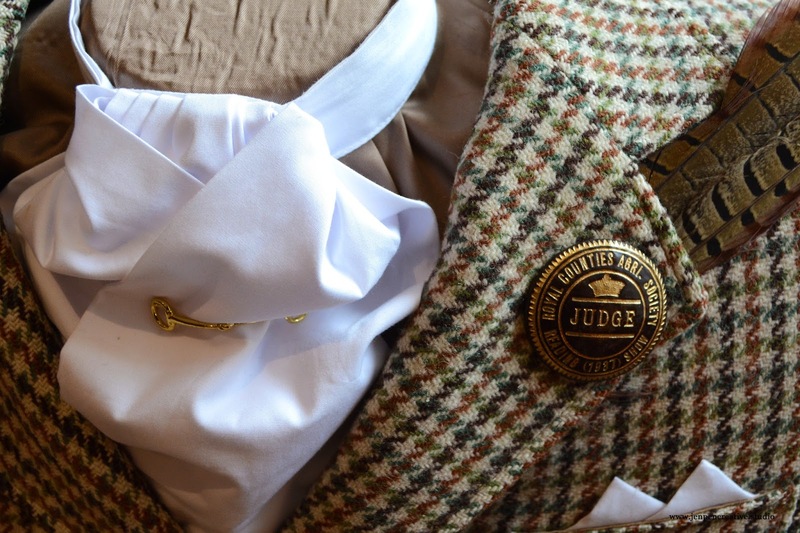 The buttons are carefully selected and put on. The beautiful thing about these chairs is, that there isn't two pieces the same. Every one of them is unique, so you don't have to be afraid that someone else would have the same chair as you in their room. Talk about statement piece!! This is really vintage upholstery on another level. But beside these lovely and one of a kind pieces, they also do 'normal' upholstery. They pick out some beautiful, one of kind fabric for their chairs, so that can also be an one of kind chair. I really loved that green chair. 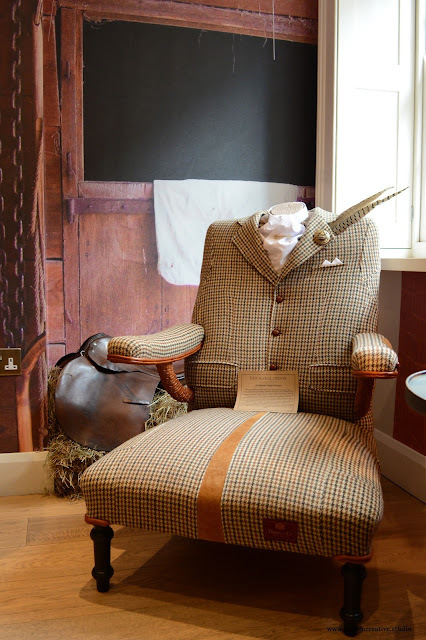 The combination of the fabric and the lines of the chair is simply amazing. I was ready to take that one home. Below are more of their lovely and uniquely collection. I want to thank Shaun & Julie once again for the lovely invite and the inspirational conversation in their showroom. For more information about Rhubarb London, click here. This trip is made possible by the official sponsor Ricardo Instalashon Duradaro BV. For any information about electrical and solar installations, please don't hesitate to send a mail and get your information. You can do so, by clicking the name above. 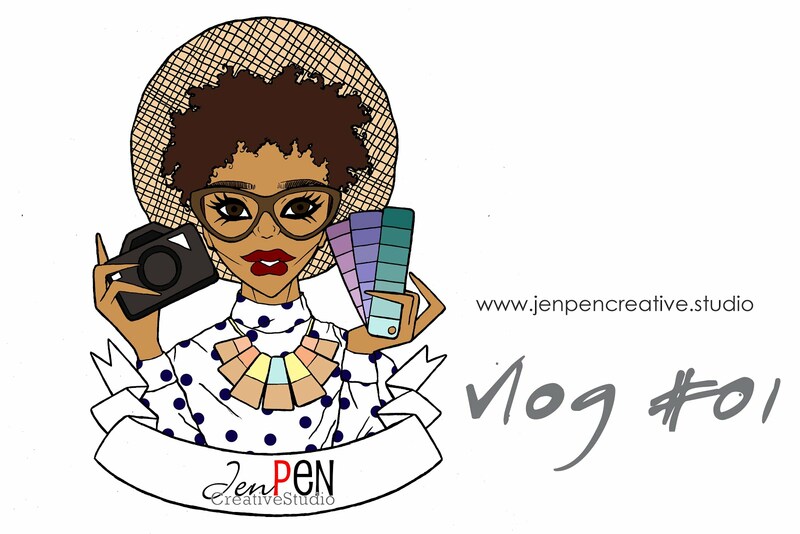 Thank you for supporting brands or companies that are supporting JenPEN Creative Studio. What beautiful pieces. I wish I had gotten to see this the last time I was in London. This is very creative and I would love to see the showroom with my own eyes. An amazing collection! I just shared this with my sister! She is an interior designer and I felt she just had to see it. I love these as well. It adds such strong personality to each chair. Oh that's great Ivanna. She wll love it. They are so amazing.